Ellis' Room: A loft bed with a couch beneath. In this loft apartment located in Manhattan's flower district, we constructed a loft bed with a couch beneath, creating the social space near the bed that the client desired. The couch's proximity to the bed is perfect for nighttime reading, allowing a sleepy child to simply crawl up into the loft. The stairs and rails leading up to the loft are all about safety and comfort. We installed carpet on each step to provide the child with maximum traction and gripping holes on both sides. 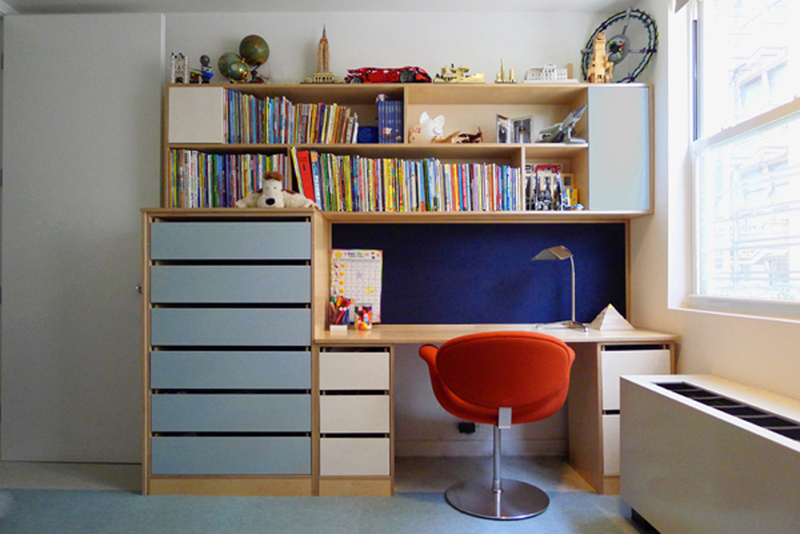 Opposite the bed we positioned a desk, shelving and large dresser, creating ample space for storage, display and studying. We designed this bed with a transparent cut-out facing the window to allow for light to flow through the space when the shades aren't drawn. 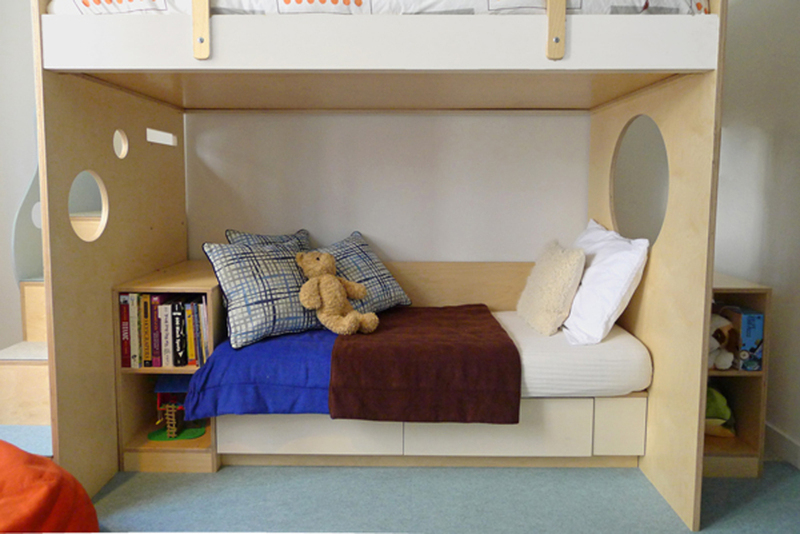 The featured product in this room is a customized version of our Marino Loft bed over a couch.